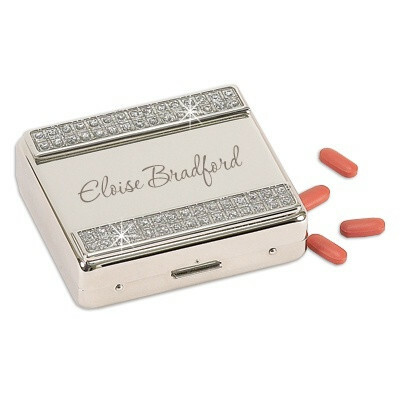 Compact and sleek, these personalized pill boxes are perfect for taking medication and vitamins on the go, anytime anywhere. 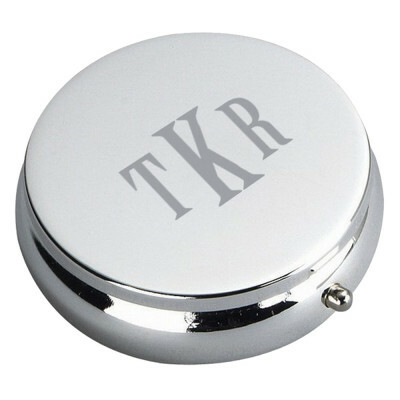 Customization allows for easy identification and prevents mix-ups while choices from keychain pill containers to elegantly designed pillboxes make taking oral supplements portable and stylish. 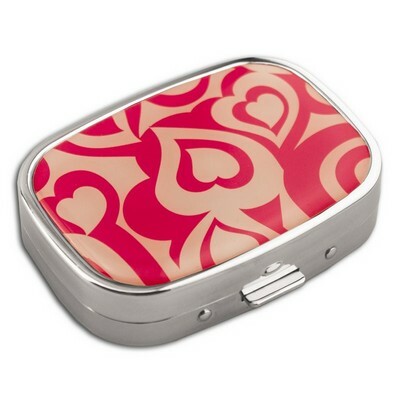 No more lugging around a bland, unattractive plastic box! Excellent as gifts for grandparents or anyone you know who requires timely medicine or health supplements.